Igor Sysoev of NGINX, Inc.
I’ve been wanting to add more scripting capabilities to NGINX for a long time. Scripting lets people do more in NGINX without having to write C modules, for example. Lua is a good tool in this area, but it’s not as widely known as some other languages. 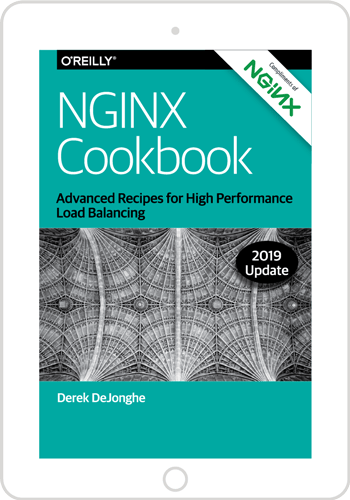 This is another milestone in the development of NGINX open source software and NGINX Plus. I want to take the opportunity to explain what nginScript is, describe why it’s needed, share some examples, and talk about the future. nginScript can be used for quick fixes, making NGINX configuration more convenient and operations more efficient. But, because it runs at the application delivery level, it will also enable you to refactor your applications for greater long‑term stability, security, and scale. Defend against security threats – nginScript can dynamically respond to abusive traffic sources by rate‑limiting or denying requests. Gain richer control over traffic – You can implement flexible control over how traffic is routed using information in the request or other sources. Consolidate functions across applications – You can move duplicated functionality out of applications and into the application delivery platform. Speed application development with function libraries – nginScript code can be developed, reused, improved, stored, and shared. In the future, we’ll add more capabilities to nginScript and broaden its scope, so you can use it for tasks such as fixing application bugs, changing business rules, personalizing the user experience, and sharding requests across servers and aggregating the replies. A variable set by js_set can be used in any NGINX directive that takes a variable parameter, such as limit_req_zone, proxy_pass, and sub_filter. With nginScript you have full access to the request parameters, with the $r variable. The following example returns the request parameters back to the requester. nginScript enables testing and prototyping, functionality and security fixes, and strategic refactoring of application development and deployment. We look forward to your feedback as you try out nginScript and consider its long‑term place in your application development and delivery strategy. To provide feedback, please use our mailing list.